Airbnb owes part of its magic to the sheer variety of options the online rental marketplace has to offer. Just as you could hypothetically eat pizza in a Ninja Turtles-themed urban lair, you can also go full Swiss Family Robinson in a gorgeous, labyrinthine tree house nestled in Atlanta's suburban forest. 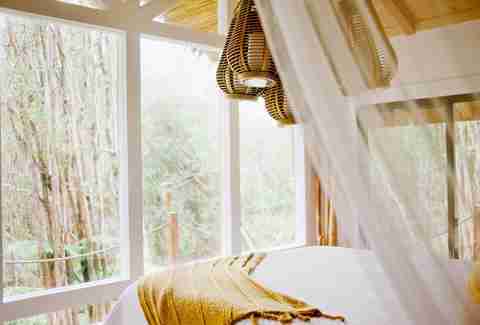 But if you're more inclined to hunt down tropical surroundings, you might try to book a spot in Hawaii's most popular Airbnb, which practically sits on the outskirts of a jungle. 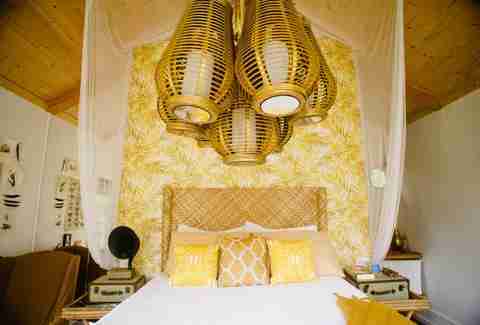 Covered in bamboo branches, the $200-a-night listing is currently on the wish-lists of 37,200 people. 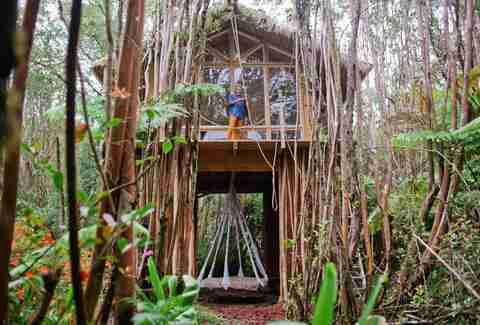 Hidden in the wilds of Fern Forest on the Big Island of Hawaii, the treehouse is affixed to 15-foot stilts, and boasts 360-degree views into the surrounding jungles. There's also a bed hanging from the house, which can't be a bad option for a mid-afternoon nap in the sun. The aesthetic is clearly drawn from its surroundings, as bamboo is basically the glue that holds all the stylistic elements together. It features DIY fixtures made by the host, such as an ornate chandelier dangling over the main bed, and wall-to-wall windows that unleash the abundant sunshine. There's also a deck snaking its away along the building, and the outdoor shower should stop you from tracking sand into the house. 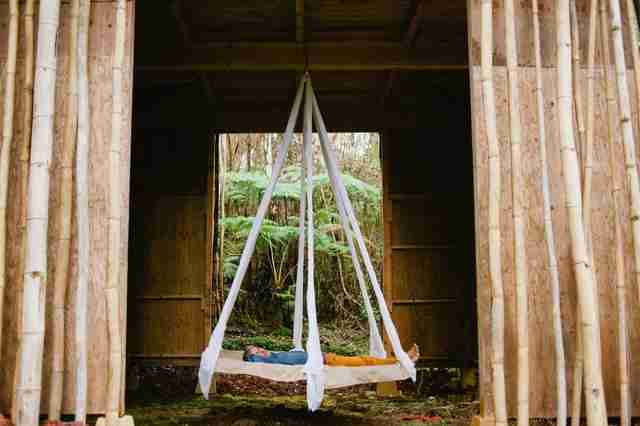 Although the treehouse comes at a steep price point, the journey to Hawaii doesn't have to put a massive dent in your wallet. In recent months, airlines have announced expanded service to the islands, ushering in something of a price war among carriers vying to whisk you to paradise at a discount. Southwest is the latest airline to enter the fray, which can only portend an extended price slashing frenzy on the immediate horizon. So when it comes to getting out of dodge when the weather gets cold, just remember that Christmas in Hawaii is always a viable option. 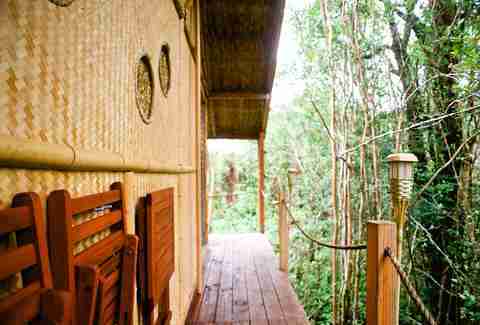 Especially when it's in a luxurious bamboo treehouse.